Here on Cape Cod we are blessed with an abundance of fresh water. We are accustomed to turning on our taps to fill pools, wash cars and irrigate our lawns and gardens. We usually do not give a second thought to how much water we use. As we grow as a community we need to give some thought to conservation. We would like to advise residents of recently proposed DEP regulations which will limit average household water usage to 65 gallons per day per person and can severely restrict or ban outside watering whenever the Massachusetts Drought Management Task Force declares a drought advisory. The “advisory” is the second level of five conditions of drought defined in the Massachusetts Drought Management Plan (Normal, Advisory, Watch, Warning and Emergency). The advisory level merely references dry conditions that warrant closer tracking by governmental agencies. It does not mean that a drought condition is actually occurring. These regulations, when implemented, as currently proposed will impact District revenues as less water will be available for purchase by District residents due to the restrictions. We urge you to contact your legislators and voice your concerns regarding these regulations. At present the Sandwich Water District average is 73 gallons per capita per day. How can I help conserve? 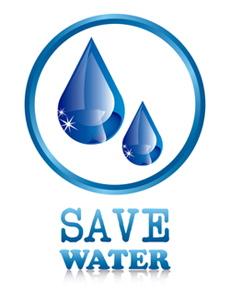 You can help conserve by installing water saving plumbing fixtures, and appliances. The table below gives an estimate of just how much can be saved when you replace conventional fixtures with modern low flow fixtures.